arts of the Syrian territory controlled by Islamic extremists may become one of the biggest terrorist threats to peace, the New York Times claims echoing CIA’s Michael Morell’s recent statement saying that Syria is now the number one threat to US security. As of today, jihadist groups include at least 6,000 foreigners, and such men today still flock to Syria in greater quantities than in Iraq during uprising against the American occupation. American newspapers have long been silent on the presence of Islamist terrorists- fanatics in the ranks of the Syrian opposition, gently pointing out that these people are called terrorists only by the Syrian media that supports Assad. But in recent months it became clear that the murder will out. The supposedly democratic “Syrian Revolution” which was displayed in the shellings and suicide car bombings in the streets of Damascus, today are seen by most as obviously specific of al-Quaeda and present even at the most distant fronts of the Syrian civil war. Now even major US newspapers report that Menachem air base in the province of Aleppo was taken by the Islamist group Jaish al-Muhajireen wal-Ansar (Army of Emigrants and Helpers) under the command of a Chechen man, known by the Arabic name Abu Omar al-Shishani. US expert on terrorism Charles Lister notes that the soldiers of the government troops surrendered after several explosions of cars with suicide bombers at the walls of the base: Lister counted six of such “feats” in the Al-Qaeda style only in the last two weeks. All these facts are slowly halting the popular Western propaganda machine called “Assad is a bad man”. “The idea that Syria could supplant Pakistan as the primary haven for Al Qaeda someday, should the government fall, is a heavy blow to the Western-backed Syrian opposition and its military arm, the Free Syrian Army”, the NY Times says. The newspaper also mentions threats to Russia from someone called Abu Omar – a Syrian-jihadist who was the ‘manager’ in the Syrian city of Raqqa captured by rebels. This person recognizes that the main opponents of the jihadists in Syria in the last two years have been Russia and Iran and the Western countries were helping the scoundrels. One big question remains: what’s with the longstanding accusations against Russia over its support of the Syrian government? The accusations which can be heard from Washington, London, Paris and all the other Western capitals over the last three years. What about the notorious “different stances on Syria,” which the West says put Russia “beyond the civilized world” and cited as an excuse for not meeting with Putin? Of course, no apology will come from these gentlemen. We hope at least some of the Western audience will understand, especially those whose ‘media memory’ goes back at least a little further that the headlines of today’s newspapers. The Central Intelligence Agency’s second-in-command warns that the war in Syria has become a top threat to US national security, and added that ousting Bashar Al-Assad and replacing him with al-Qaeda forces will turn the country with with its chemical and other advanced weapons in another safe haven for extremists, like Pakistan. Michael Morell, the CIA deputy director, indicated that “the spread of al-Qaeda is a victory in itself,” referring to the divisions among the organization led by Ayman al-Zawahiri in order to establish more independent groups. He assessed that there were now more foreign fighters joining al-Qaeda-affiliated extremists in Syria than there were in Iraq at the height of the war there. Among other risks threatening the US, Morrell mentioned Iran, al-Qaeda, North Korea and the electronic warfare. Syria is now the number one threat to US security, said Michael Morell the Deputy Director of the CIA to the Wall Street Journal in an exclusive interview. In his words, the combination of civil war in Syria and the possibility that al Qaeda extremists could obtain dangerous weapons in the event of Bashar al-Assad’s fall stacks up to represent the greatest security threat for the United States. In an interview with the Voice of Russia Valentina Soria, security analyst at IHS Jane’s Terrorism and Insurgency Centre, UK, shared her opinion on Mr Morell’s claims and the overall situation in the region. If Assad goes, the chaos that will follow will have very unpredictable consequences. How true is that claim that Syria could become the US’s number one security threat if Assad falls? From the US perspective, of course the possibility of a collapse of the Assad Government and Syria is worrying for all sorts of reasons, first and foremost, because of the presence of extremist groups and elements in Syria who are at the moment leading in some ways in the fight against the Government forces in the country. And of course, the collapse of the central Government could lead to a widespread chaos in the country which would definitely enable extremist elements, as Mr. Morell said (the Deputy Director of the CIA), to take hold of, for example, weapons, chemical weapons held by the regime. What is the situation with Al Qaeda worldwide now? Is the organization weaker now that Osama Bin Laden is out of the picture? The threat from al-Qaeda has remarkably changed over the past decade. And of course, although we can certainly point to a diminishing threat posed by the central core, which used to include Bin Laden and now Al-Zawahri and other key commanders in Afghanistan and Pakistan – that kind of threat from the central core has definitely diminished. Their ability to actually train people and to plan and carry out attacks against, for example, the US and other European countries has diminished. But of course, we’ve seen a kind diversification of the threat. And definitely the threat has spread geographically, but also ideologically. So, now the Western governments got the problem of homegrown terrorism, in particular – their own citizens being radicalized by ideology spread and propaganda spread online, for example which is another headache. What kind of other security threats does the status quo in Syria pose to the US? Well, the extremist element factor is I think one of probably the most imminent concerns for the US Administration. 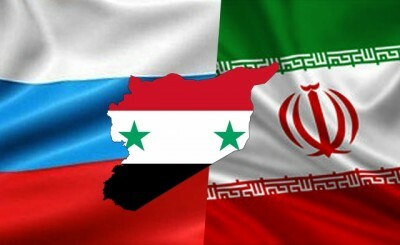 And of course, there is always the possibility of that country…because of the strategic location of Syria in the ME region, which is very significant for any group that would probably like to regroup and reorganize a logistic base in a country like that. Of course, there is a possible spillover effect and broader implications for the regional stability. Mr. Morell (the Deputy Director of the CIA) mentioned Lebanon, Jordan, but also Iraq. Iraq is in a very-very difficult state at the moment. So, any kind of spillover effect on a country, which is already on the verge of chaos, is going to have very unpredictable consequences. The Ousting of Bashar Assad will become a major US security threat as al-Qaeda groups will take the reigns of power, according to CIA Deputy Director, Michael Morell. He shared his views on the situation in the Middle East country in an interview with The Wall Street Journal. “Syrian civil war is probably the most important issue in the world today because of where it is currently heading. And I don’t remember a time when there have been so many national security issues on the front burner as there are today”, Morell said. The position taken by the CIA’s second-in-command completely contradicts the adopted US policy of supporting insurgency with weapons and ammunition. According to him, once Assad is replaced, all that war hardware will be turned against the United States. He also stated that rebels present separated military groups, some of whom are clearly affiliated with al Qaeda, have no clear leadership and in the end Syrian warheads will be aimed at the US in the absence of a stable government. Today, terrorist organizations are increasing their presence in the Syrian civil conflict and that in turn increases the danger that the United States will be dragged into fighting on yet another terror front. Estimates of deaths in the Syrian civil war, per opposition activist groups, vary between 80,070 and 102,205. On 24 July 2013, the United Nations published its own estimate that over 100,000 had died in the war.